… Yes, it bugs me to write Color instead of Colour, FYI. This year my good friend Lauren agreed to do the Color run with me (as a punishment that she choose Florida instead of celebrating my b’day in England ;) ) and I could not be more excited about it. I have never done it before and there are some reasons why this race was in my bucket list from the beginning of my running era. It is more walk than running event and it’s not the race for smashing your PB. It’s more social event to have fun! And the best part is that you will be able to add a bib with number in your collection. They provide you with race pack that includes tshirt, bib with number and other bits and bobs (will write about this more when race pack will reach me). You are welcome to go ballistic with your look. 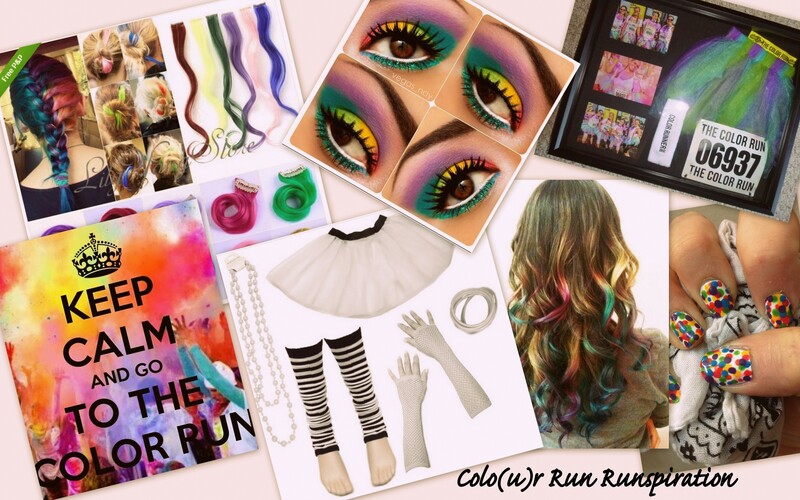 Think about anything from colourful tutu’s to make up and manicure! You don’t need to be a runner to participate (perfect for Lauren). As I said you can walk, jog, run even dance if you wish! As simple as that. Powder used at event is 100% natural. It is food grade cornstarch but don’t get all crazy to eat it! You also probably want to wear glasses or goggles to protect eyes from powder. Party at the finish line. PARTY AT THE FINISH LINE. Do I need to add anything else? Colours. What can be better than look like a unicorn farted on you? Well I don’t know what unicorn fart looks like, but when you look at pictures like this, it’s like totally happiness! London June 1st, 2014 SOLD OUT!! Manchester July 5th, 2014 SOLD OUT!! Sunderland July 20th, 2014 SOLD OUT!! Birmingham August 16th, 2014 Register today! August 23rd, 2014 Register today! Brighton September 20th, 2014 SOLD OUT!! Brighton II September 20th, 2014, 4pm! Queen Elizabeth Olympic Park, London September 28, 2014 Register today! To be a part of world’s happiest run, please press here. Nobody asked to write this, I just getting extremely excited about this! Only 29 days to go (we are doing Brighton first wave ).